Works towards environmentally benign, scalable solutions for water and food systems across a range of regional, social, and economic contexts by incubating new technologies, programs, and policies, and fostering innovative regional collaborations. Population growth, climate change, urbanization, and development are bringing unprecedented challenges to meeting the world’s diverse needs for water and food. 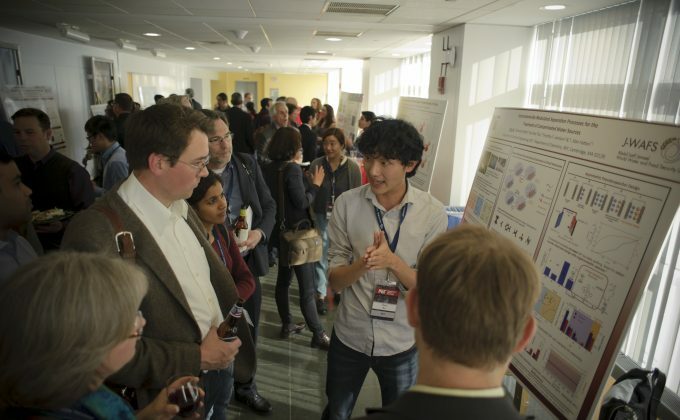 The Abdul Latif Jameel Water and Food Systems Lab (J-WAFS), was established in the fall of 2014 as an Institute-wide effort to bring MIT’s unique strengths to bear on these problems. J-WAFS works towards environmentally benign, scalable solutions for water and food systems across a range of regional, social, and economic contexts by incubating technologies and fostering innovative regional collaborations. By spearheading the efforts of MIT’s faculty, labs, and centers to work towards solutions for water and food security that are energy-efficient and environmentally benign, J-WAFS promotes the development and commercialization of the next generation of technologies that can be broadly applied to food safety, urban water supply, agriculture and irrigation, and watershed protection. By collaborating with domestic and international partners, J-WAFS brings MIT’s expertise to bear on issues that arise in specific regional contexts, spanning diverse societies, environments, and economies, and our programs help build local human capacity, to produce long-term networks of innovators and decision makers. By supporting graduate student-driven water and food research and business communities on campus – through fellowships, conference sponsorship, and other mentoring and assistance – J-WAFS is strengthening an energized community around water and food related research, innovation, and entrepreneurship at MIT while developing the next generation’s capacity to address these issues.